Home Fundraising Popcorn FREE SHIPPING is back! Yes, FREE SHIPPING is back! 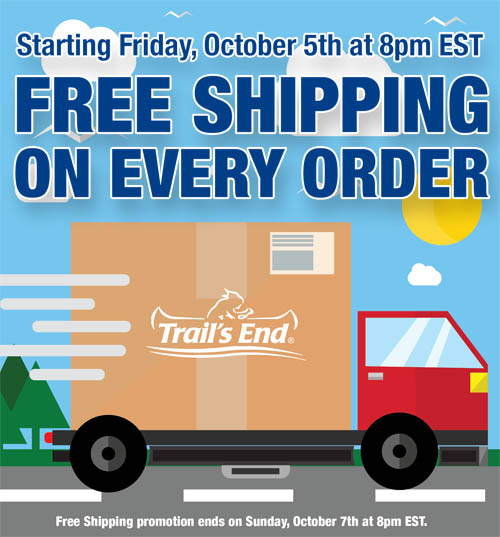 For 48 hours this weekend, www.trails-end.com/store will offer ‘Free Shipping’ on all orders!